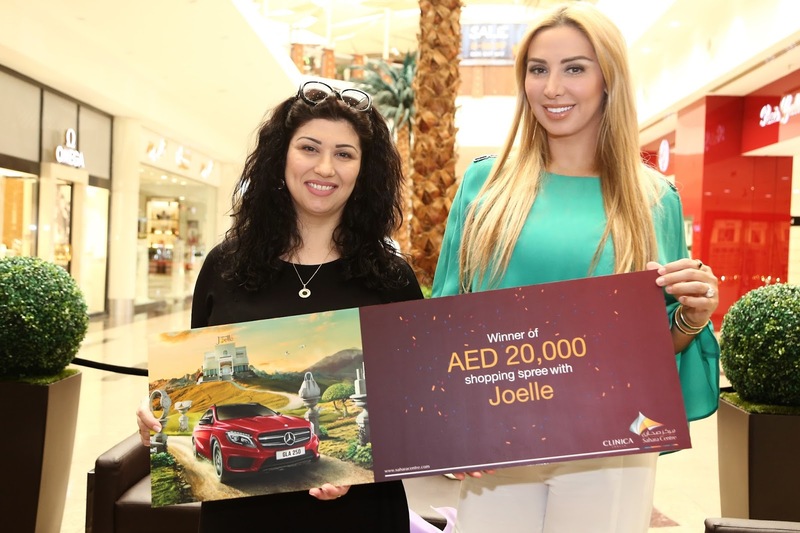 Sharjah, United Arab Emirates, June 23 2016: Sahara Centre has announced the winner of a makeover and shopping spree with well-known beauty expert Joelle worth AED 40,000, with the prize awarded to lucky recipient Russian national Zarina Alieva. The competition ran from 14th April to 22nd May, which resulted in a fortunate Zarina being driven by limousine to Maison de Joelle and Clinica Joelle, accompanied by Joelle. Upon arrival, she was pampered with a makeover and provided with tips and advice from her celebrity companion on hair, skin and beauty. She was then treated to a complementary shopping spree where she could choose from Joelle’s latest range of beauty products. Two other fortunate winners included UAE national Farida Amanalla Kamali and Omani national Ahmed Abdullah Ali Al Harrasi, who each won a Mercedes-Benz GLA.